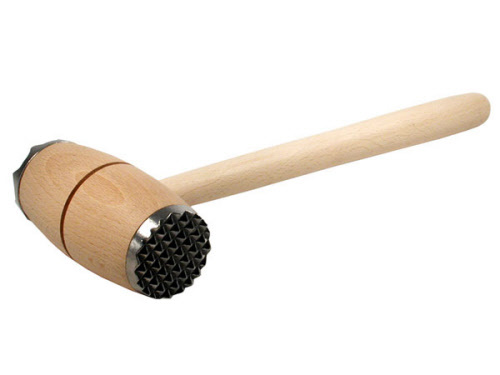 Meat hammer with metal fitting. Kitchen wood of Kisag - ecologically prepare, cut, stir, turn. The kitchen timber of Kisag exclusively from European forests and Kisag produces, among other things for several years Utensil with FSC certified wood.